Moments after leaping off the cliff, Eishi wakes up in a dark world filled with fire, ash and death. He stood on top of a tall mountain, looking over at the devastated world of Lunaris. And floating beside him was the Guardian Spirit Carbuncle. This time it wasn't Fate who was talking to him, but Carbuncle. In the ground below, laid hundreds of thousands, if not millions, of burned bones, and rotting dead corpses of Dragons, Giant Creatures, and a race similar to Carbuncle's. "When the Old Gods came they choose four great warriors from the planet and made them their Champions. The rest of the world were to become fuel for the fires of hell, our friends and families became food for their bellies. Their wickedness and power devoured our planet until this was nearly nothing left." "So we fought back! We challenged the Old Gods, we the fuel, refused to be burned. But we couldn't defeat them, they were simply too powerful and we were too few and too weak. We had lost all hope." "But we were saved. By our Creators, the Primals, who flew from the Cosmos to our aid. The tide of the battle shifts in our favor. In the end, we defeated Old Gods and their Champions. We couldn't destroy them. Not now after they've already fused themselves with the planet's Lifestream. Destroying them would mean destroying the world. So we imprisoned them, deep beneath the soil. We sealed their magic and made sure they would never escape." "Before our creators left us, they bestowed upon us great powers. So that we can rise up once again to protect this world should the Old Gods ever break free from their prisons. Our powers maybe everlasting but our bodies remained mortal. After many years, we too joined the Lifesteam. We became spirits, yet our powers remain. However, we can no longer walk the mortal plain for very long. At most we could only appear for brief instances to provide guidance and support." "Over the years we've chosen Guardians among mortals, to whom we shared our power. So that they could act in our place. To guide this planet and to protect it. This might not be the world of your birth, but you are certainly part of it. I don't have all the answers, so I cannot explain what connects you from this world. But I felt your connection with our world when we first met in that prison courtyard." "Someone is trying to free the Old Gods. You've already met them twice. They took something from you. A means to pass through the Gate of Obris. Without it you can't return to your world. I know its a lot to ask a young boy such as yourself. But you are much stronger than you look. I will not force you to become a Guardian. But I will ask for your help. Will you help us defend our world? Shibuya Eishi?" I figured I would end up in some place after I jumped off that cliff and everything went dark. I searched around and myself standing on the peak of a mountain, looking down on the carnage that afflicted this world. This is probably the end of days, I thought. I reminded me of that television show I saw that was about the extinction of dinosaurs. Only this scene was far worse. Everywhere I looked there was lava and corpses. I felt so isolated and lonely in this place. The feeling I felt was similar to being left alone in an extremely large place. I was beginning to question why Fate brought me here, then suddenly, Carbuncle just pops out right beside me. He began explaining things to me, things I did not fully understand. All I understood was that their world was invaded by these entities called the Old Gods, and destroyed their world. So they fought them and almost lost, until they received help from their creators. Who also helped them lock away the Old Gods. Now a new group is planning to let loose the Old Gods and they need my help to stop this group from achieving their mission. I cannot do it. Sure, I want to help these people save their world. But I am only just an ordinary kid. I pretend like I am all grown up and strong, but I cannot fight world destroying Gods. This is way out of my league. Then I heard about a Gate and not being eligible to return home. I will not be able to go home if I cannot reclaim what was taken from me by that woman in red. I turned to face Carbuncle and told him: "Mr. Carbuncle! I am sorry. But you have the wrong person. I am just a kid. I can't be responsible for protecting this world, I can barely be responsible enough to do household chores. I'll try and get back what they stole from me so I can return home. But this Guardian deal I can't do it." Carbuncle understands Eishi's doubt in his abilities. The boy is not ready to become a guardian at his current state. He still needed to overcome the Forth Trial and his fears and doubts. Eishi needed to believe in himself more. The Old Gods will not stop until they've consumed all life in the galaxy. Once they're done feeding on Lunaris, they'll most likely head for Earth next. Carbuncle disappears, he is replaced by Fate as represented by a shinning light floating above the ground. Fate shows Eishi a vision of the possible future. First he is shown an image where the Old Gods have broken free from their prisons and have brought destruction upon this world. He is shown glimpses, flashes, of the Old God's new champions before the vision shifted to the second part. The next segment of the vision were the Old Gods having already made their way to Earth, began consuming the planet. He is made to watch, helplessly, as these planet sized monsters devoured his home world. After consuming Lunaris, the Old Gods have grown tremendously powerful and the people of Earth are powerless against them. "They will not stop. They will keep going and going until there's nothing left but them. If they succeed in devouring this world, not even the Primals will be able to stop them, and your world will be next. You won't just be fighting for this world, but for Earth as well." After showing Eishi what the future holds, Fate now takes the boy to his fourth trial. This time the setting is not from the past or future but in the present. He takes Eishi to the place far from the brewing trouble in the south, or the war in the north. Fate tales Eishi where it all began. Back in the island of M'hirr. Not in the city, but in the woods. After Fate made me watch helplessly as the Old Gods destroyed my world, made me feel guilty and also afraid. I felt like I failed this world and mine by being too afraid to take on the responsibility being offered to me. But I was unable to over come the fear with just guilt. If I fight those monsters I will die. I was still feeling down when Fate decided to take me to another place in time. A bright light flashed before my eyes and moments later I found myself in a forest. The smell of the trees were familiar but I could not quite place where I first smelled their scent. Hoping that Fate was still with me, I turned and asked: "Fate, where is this place?" M'hrrwood. It used to be one of the highest points in Lunaris, back when the Continents were still formed differently, over 10 million years ago. Back then the world was ruled by giants and dragons. Now a tribe of Nyanqins are in-charge of this ancient place. At first glance it appears to be nothing more than an ordinary forest, but hidden deep within it is an ancient temple that dates back to the time of the first men. For many generations that temple has been protected by a Nyanqin tribe called the Pusaa. They are the guardians of the temple's secret. "Take one more step Human and the next one will be aimed a little bit higher!" She leaps towards Eishi and mounts him and pins him down on the ground. She then takes a knife and holds it toward's the boy's face. She was very apprehensive and didn't really give Eishi enough time to explain himself. "What are you doing in these woods!? It is forbidden for outsiders to set foot in this holy sanctum!? Are you from the Empire!? Speak or I'll cut your eyes out!" I wanted to ask Fate more questions but I was wrong to assume it'd stick around after dropping me in a scary forest. I started looking around to see if I have been here before. It was not a place I familiar with, sir Gene and I never passed through here on our way to Ramoa. I wonder where this place is, it seems rather peaceful. I started noticing that there were no zombies or dark monsters in the area. And it was a lot nicer here compared to that lava world from before. But as the saying goes, if it's too good to be true then it probably is. I kept my eyes and ears open for anything, but I was not ready for what happened next. A spear impales itself unto the ground next to my feet. 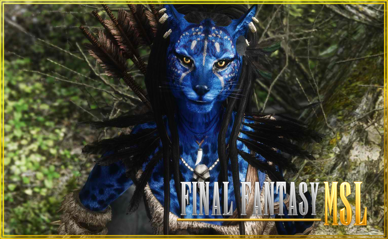 How could I have known that there was this crazy blue catpeople watching me? It was so well camouflaged that I failed to realize it was even there. And before I could eve say anything, the catperson jumps me and sits on top of me. The weight alone was enough to crush me, but furriness was the thing that made it all worse. Dust from the catperson’s fur got into my nose and forced me to sneeze several times uncontrollably. I felt that my life was being threatened but I could not stop my body from sneezing, it was just physically impossible. After I finished sneezing I tried to tell the catperson that I do not know what she is talking about. Although it was a little hard to speak because this heavy cat was crushing me. “Grrrr! !” the female Nyanqin growled at Eishi for being so allergic to dust. But it made her take some time to analyze the situation properly. The trespasser was a mere boy, who is unarmed and is obviously suffocating beneath her weight. But the most noticeable thing the boy said was that ‘Fate’ brought him here. It wasn’t a word she was unfamiliar with. Fate is the center of their tribe’s tradition. “My name is Meeming, I am the protector of these woods. Follow me little human. The Great Mystic would want to speak with you.” She turns around and leads the way to the ancient temple. They pass through an old encampment, it was empty though, and it seems that no one has lived there for a long time. About an hour more and they finally reached the entrance to the hidden Ancient Temple. It was well hidden, between the giant roots on an old Acacia tree. The boy did not look like he poses any threat to the Great Mystic. And if he proves false, then the Great Mystic will take care of him. There was only one way to find out if the boy was the one mentioned in the great prophecy. They made their way down a spiral staircase and then through some hallways before finally ending up in front of the Great Mystic’s chamber. “I don't have a lot of time so I'll lay it all out at once. This world is going to perish and your world will be next if we do not stop the Old Gods. It was I who opened the rift from your world to this one, while trying to bring back the Lost Prince. Only he can remove the curse binding his people and his kingdom. Only after the curse is lifted, can a way to defeat the Old Gods be revealed. You must find him and help him break the Curse!" Protected by Fate, the user becomes immune to the negative effects of the "Whispers" of the Old Gods. RP effect: Grants the user the superhuman strength and toughness. As soon as last of her powers leaves her body, the Great Mystic falls dead on the ground. She had done her part. Even though she was an evil witch before, she was still able to turn to the light with the help of Fate. It proves that no one is beyond saving. While Meeming was swearing her services to Eishi, the witch’s body started twitching. Now that Fate’s power was out of her body, only the evil energy remained. Her body was dead but her powers weren’t, in fact far from it. Red Flames started combusting around Eishi and Meeming as the Witch’s body suddenly levitates off the ground. Eishi is being chased by the Evil Witch. To outrun her, Eishi must roll 3 CHECKS out of 5 attempts. But it doesn't end there. Eishi must also seal the entrance of the Temple with large boulders found outside the entrance. To successfully complete this task Eishi must get another 3 (or 4 if 1st part fails) CHECKS out of 5 attempts. You can roll all 10 attempts provided that your post is at least 500 words long and indicates your escape attempt and your attempt to block the entrance. Failing on the first part of the Challenge event will increase the CHECKS needed for the second part from to 4 checks. Also the XP reward will be reduced. 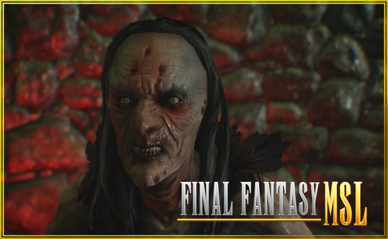 Failing on the 2nd part of the Challenge will result to another fight with the Evil Witch. I seriously thought this catwoman slash avatar was going to carve my face off with her knife. Luckily I may have said something to appease her and soon after that she let me go, which was about time because a few more seconds and I would have turned blue and pass out. Looking at my assailant, I could tell that she was not a bad person. I know it sounds silly and completely baseless, but that is how I felt when I saw her. I have Ms. Maria to thank for that. She showed me that not all catpeople are bad. Cat people... Wait a minute. Now I remember where I smelled these trees before. We're probably back in cat island. But what date is it? Is this the past or the future? I could not really determine due to the fact that there was very little I could base the time on. Did they have a calendar? No. Even if they did, it would be no use to me. Her color and her appearance reminded me of that movie Avatar. The ones with the tall blue aliens that rode on the backs of flying dragons. Strangely she looked so much like them. Perhaps the movie was based off of her. I mean I doubt they've seen in, none of them have a television or access to the actual movie. I felt more at ease when she sheathed her weapon. I feel as if I finally had a chance to communicate properly without resorting to any form of violence. She introduced herself as "Mee Ming" the name sounded like it was Chinese, like Liu Pi or Ling Shing. I did not ravel in it too much. For a moment I forgot this was all just part of the test because it really felt real. Like I was really here as compared to the other tests before this one, where I felt like I was sharing a body with someone else. She asked me to come and follow her. We were supposed to meet someone named Great Mystic, or perhaps that was a title. Again, I did not really dwell too much on the names. Before we left, I scanned the area hoping to find another one of her kind. There are usually more of them. I never really saw a cat person alone before. But it would seem that no one else was going to turn up. We also happen to pass by an old encampment but it was empty and looked like it has not been used for a long time. We must have walked for more than an hour, getting to wherever it is that we were going. She stops before a really big and old tree. As it turns out the entrance was in between the tree's gigantic roots. It was pretty amazing if you ask a geek like myself. You guys know what happened next. I felt so strong and I was able to carry the cat person with ease. I even ran really fast out the chamber and back to hallways. It was not hard to remember where we passed by a moment before. But the pressure of having a scary witch chasing after you was really messing with my focus. I tried really hard to look for the spiral staircase, then I saw some landmarks that helped guide me back towards the exit. It was an extremely terrifying experience, being chased by some mad witch, who was good before but now she's evil. I carried Mee Ming all the way out of the secret temple. Then I dropped her gently on the ground. Maybe I was able to outrun the witch or maybe not. But I had to make sure she doesn't follow us outside. I used the large boulders located around outside to block the entrance and to trap the witch inside. With my superhuman strength I was able to lift the large boulders, though not easy, and threw them one by one at the entrance, forming a blockade. 1500 XP awarded. Trial 4 Complete. Eishi outran and sealed the Evil Witch inside the temple. The walls of the temple are magic resistant, so were the large boulders Eishi threw at the entrance. They used to be part of the temple but collapsed due to past events. This is the first time in the trials that Eishi did not die, not yet anyway. Mee Ming was still out cold and there was an angry Witch trapped inside an old temple. Eishi is faced with no other choice but to leave the forest. He was right at guessing that this place is M'hirr, or as he would call it, Cat Island. He still hasn't realized that he wasn't in someone else's body, nor was in some past or future timeline. Eishi was back in the present and outside of trials. However, this did not mean that the trials are over. He still had one Trial left before he could become a Guardian. Fate brought Eishi to the Witch so that she could pass on to him an essential component that would protect him from the Old Ones. But more importantly so that he would learn why he was brought to this world. Eishi needed to find the Lost Prince, who is probably one of the humans on board the flight. And since the witch clearly identified him as not the prince, then the only two remaining options are Sylvan and William. Unless the prince was a girl then it could be Yui. Or if there was another survivor, who he did not know about. The prophecy states that only the Lost Prince can free his people from the Curse and bring peace to the world. Mystics have interpreted the curse as the malevolent power of the Old Ones and that the Lost Prince will be the key to finally defeating them without killing the planet. Unfortunately, Eishi wasn't told much by the Witch before she turned. And Fate wasn't answering him either. A tiny rift started opening up beside Eishi, it was bright and gave off a warm healing presence . Then Carbuncle pops out from the rift and lands gracefully on the ground. He turns to Eishi and said, "Congratulations on completing the fourth trial. Only one trial left are you ready?" Carbuncle opens another rift portal. This one was big enough for both Eishi and Mee Ming, should Eishi decide to take her with him. "Step through the portal. It is time you met with the Last Guardian. Don't worry about the Nyanqin, she'll be alright. Come now we don't have a lot of time." With luck and a little bit of magic, I was able to seal the temple's entrance. Thus preventing the wicked sorceress from chasing after us. I was not sure how long the seal would hold, but I was relieved that I didn't die this time. All of the sudden, Carbuncle pops out from a tiny dimension gap. I know he's a magical being, but he still is very cute like a really fancy house cat. But I kept my thoughts to myself, I didn't want to offend Carbuncle after all. I'm not sure why he came here, but I felt much safer with him with us. He congratulated me after I completed the fourth trial. I felt a little bit amused with the new powers I've gained, but I tried my best to keep focus at the task at hand. Carbuncle was right, only one Trial left. I didn't know what it was, but it had to be the last for a reason. Carbuncle also told me to don't worry about Mee Ming. I was about to pick her up and take her with us when I suddenly had an epiphany. The witch said she wanted to eat me to extend her life, and I saw a lot of little children's bones lying around the Witch's lair. If Mee Ming was the Witch's guardian then they must've known about the children. I felt scared, that she might be one of those "I'll do what ever it takes, even if I have to sacrifice an innocent child"-type of people. I couldn't take her, I was less trusting now that I was before. Carbuncle reminded me that there was no time left to waste. I left Mee Ming and entered the portal. I could only hope that this last trial doesn't kill me like the other three. 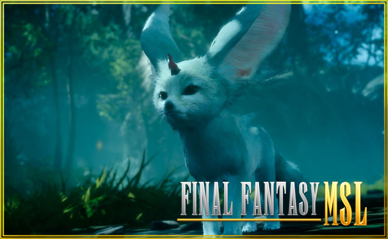 I wonder what Carbuncle meant by the Last Guardian, it sounds like the title of a movie or a game. The rift took Eishi to a land far far away, across the ocean, to the Imperial Continent of Thanatos. Nearly every region of Thanatos has been colonized and industrialized by the Empire. They the resources found in the earth to sustain their mechanical cities and to improve their advanced military capabilities. In turn, the Empire is slowly killing their land, along with it, the last surviving Guardian from the ancient times. Eishi was teleported inside a dark cave, located thousands of feet underneath the Empire's Capital city. The cave was pitch black and the only light source was Carbuncle's natural glow. Carbuncle walked in front of Eishi and cast a protective spell on him. "Stay close to me. This place is full of dark spirits so don't wander off." Carbuncle led the way towards Demetria, the last living Guardian. They must've walked for nearly an hour inside the pitch black surroundings. Then Carbuncle entered a small hole of the floor, it was small but it was still big enough for Eishi to squeeze into. The passage was cramped, but Eishi would not have any trouble with his small frame. It was impossible even for Carbuncle to teleport inside Demetria's Chamber right away, so this journey had to be taken. At the end of the small tunnel, there was light coming from a passage way. It leads to Demetria's Chamber, a large dome shaped cave structure that had an old withering tree in the middle. The tree had multiple, crystal like particles hanging from it, tied with some sort of rope. The Last Guardian was a big old tree on the verge of dying. The Empire has taken all the magic from this land, the same magic upon which Demetria draws her lifeforce. So you can imagine her hate for humans. Carbuncle's stopped at the entrance of Demetria's Chamber, because Eishi must complete this last trial on his own. "This is your trial. You must do this alone." Telling Eishi no more, Carbuncle sits in the corner like a cat and waits for Eishi to step into the Chamber. There are no doors leading to Demetria, but that would prove to be the least of Eishi's worries. 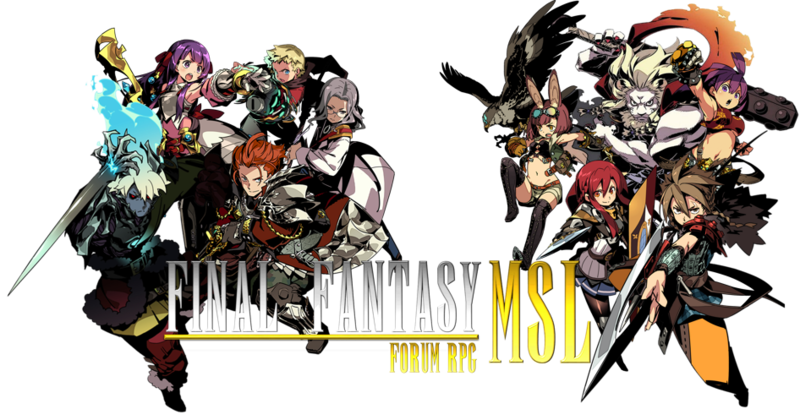 As soon as Eishi steps into the light, several dark spirits suddenly came at him, but they were warded off by Carbuncle's reflective magic. The Chamber was crawling with dark spirits, waiting for Demetria to lose her powers so that they could feast on her soul. They soon realized that they could not harm Eishi, not while he's under Carbuncle protection, so they left him be and watched from darkness. A voice started emanating from the tree. "How ironic for Fate to choose you... A human..."
"You humans have already taken more than what this land could provide, and now you want me to will you my power!?" there was a noticeable change in the voice's expression, from disappointed to angry. The room started shaking violently as a result of Demetria's fury, but it soon dissipated. She couldn't use anymore magic or else she's run out of it and die. She still has a job to do and that was to find a being capable of being the Guardian. "I was you did in the Fate, but you've yet to prove yourself to me..."
"My powers are waning and soon they will diminish entirely. To claim my power as your own you must take this knife and stab my heart." A magical knife, made from crystal, uprooted from the ground and presented itself to Eishi. Demetria opens her bark and exposes her heart to Eishi. 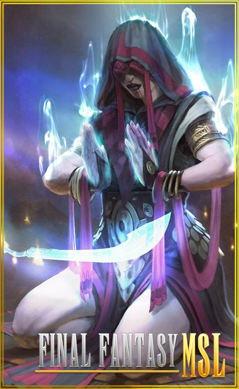 "The knife is made from Fabula Nova Crystals, if you use it to kill me, my spirit will enter into the dagger and every time you wield it, you will be able to use my power." "If you don't kill me now, then those dark spirit will devour me and my power will go to them." "Make your choice now, before I take that dagger from you and stab you with it." Immediately after Demetria exposes her heart and the knife, the dark spirits inside the chamber went wild and came after Demetria and the knife. But they were unable to breach her barrier of protection. Her barrier, however, will not last much longer. Eishi must use the dagger to claim the Guardian's power, killing Demetria but also trapping her powers within the knife for Eishi to use afterwards. If he doesn't make a choice soon, then the malevolent spirits will break through the gradually diminishing barrier and claim Demetria's power for their own. This is the Fifth and Final Trial to become a Guardian. Time to decide. We must have been walking for hours. I felt like this darkness wasn't going to end. I wonder why were didn't Carbuncle take us directly to the place where we need to go. I just feel like it's a waste of time considering that we were in such a hurry. I just kept following Carbuncle down the dark cave, trying not to think about the creepiness of the place. Carbuncle went inside this tiny hole in the ground. I was really apprehensive about the entire idea of going in a tight and dark place, but what choice did I have? If I didn't follow Carbuncle in the hole, I'll be left behind in this scary cave with no light. The first few feet was tolerable. But as I squeezed deeper and deeper down the tunnel, I felt more restricted and I felt like I was running out of breathable air. This is the last Trial, I have to keep my head in the game. A phrase I kept repeatin to myself as I crawled down that narrow path. Finally we reached the exit, I have never felt so relieved, I felt like I was going to di inside that hole. Carbuncle wouldn't join me inside the Chamber, he says it's my trial and I have to do it alone. He did cast a protective spell on me, something that will save my life later on. I gave Carbuncle a nod and then I stepped into the Chamber alone. There was nothing in the chamber, just a big o'l rotting tree with crystals tied on its dried up branches. When I got closer, I was suddenly attacked by numerous dark ghosts. I ducked down and covered my face, but then I realized that they weren't able to penetrate through Carbuncle's magic. I turned to Carbuncle and gave him a thumbs up, before I got back up and continued walking towards the tree. I was expecting a monster living inside the tree or an old man, like a hermit or something. But I didn't expect that the Guardian was the tree. I started speaking to me, it sounded pissed off. I stopped, thinking I was about to be attacked. But nothing happened. What was I going to do? Do I stab the tree and seal its power in the knife? If I don't the ghosts will take her power. I need that power to become a Guardian. But did I really want to be a Guardian? Up to this point, all I felt was guilt. Not being strong enough to protect the people I met in the trials. That's probably why I wanted more power, why I wanted to become a Guardian. But what does being a Guardian truly stand for? These guys stood up against a great evil that wanted to take their world, and they were rewarded by their creators with great powers. But before they had powers all they had was courage. I did not want to admit it, but the truth is I was afraid. Afraid to fight these monsters called the Old Gods. In fact, I was afraid to fight anything or anyone. I kept telling myself that I want to be strong, to avoid being a burden to anyone. Because I have always blamed myself for my mother's death. I just... don't know what I'm doing here... or why I'm doing this... I just miss my mom. "I need you mom. Please... I want to go home." I couldn't make a decision. I did take the dagger, but I wasn't strong enough to wield it. I couldn't kill the Guardian. I'm afraid to become a Guardian. I'm afraid to fight the Old Gods. Demtria's barrier was slowly starting to break. Using her magic causes great stress on her body, and exposes her to many dangers. After all, it wasn't just the spirits who sought her power. Despite all the risks, she still offered her powers to the human boy Eishi. But the boy was incapable of completing the task. Carbuncle looked disappointed. He wasn't expecting that Eishi wouldn't be able to finish the trials of fate. He believed in the boy, that he was supposed to be the right person for the job, but it seems he was wrong. "Don't be afraid boy. This is your destiny." said Demetria to Eishi. But just before she could say anymore to Eishi, Demetria's crystals started flashing wildly this indicated that someone has broken through the seals she set up outside the cave. Suddenly, the roof of the cave explodes. Hundreds of burning debri fall from the ceiling, knockin on Demetria's barrier as they land. A large hole opens up from above, filled with smoke and fire. "They're coming. Hurry boy! We have no time left!" Demetria told Eishi. Carbuncle perks up and enters the Chamber to stand beside Eishi. "Eishi! Be careful, I sense a powerful Guardian!" A heavily armored knight emerged from the fire. He was staring down at all of them and had a terrifying smile on his face. "The Guardian of Life, I've finally found you, and what's this? You have a tiny friend with you. The Guardian of Light. Is it my birthday today? Oh mother why did you bring me so many gifts?" . This knight bore the mark of the Empire. The 7th Lion, Gai Decitian, The Hunter. Hundreds of tiny gremlin-like creatures, with bat-like wings, flew out of the hole created by Gai. They swooped down and started attacking the Dark Spirits, and also, Demetria's barrier with their sharp fangs and claws. The Dark Spirits were no match for the hundreds of fearsome beasts, and the already waning barrier is rapidly being torn apart by the tiny monsters. Carbuncle steps in to help strengthen Demetria's barrier, but at the cost of shortening his time here in the mortal realm. "Eishi! The heart! Strike it now!" Carbuncle yelled at Eishi. Gai noticed that the boy, Eishi, had a knife made of Fabula Nova Crystal in his hand. Realizing the threat the boy presents on his prize, he's forced to bring out his most powerful technique. 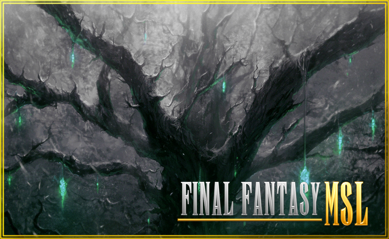 He pulls out a Fabula Nova Crystal from his armor and said, "That tree is mine boy! Don't you dare touch it! I summon you, Ifrit!" 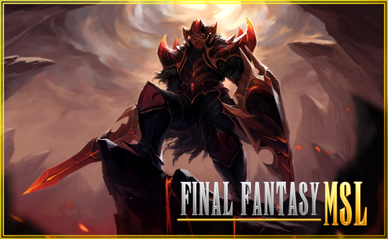 The Spirit Guardian Ifrit is summoned, like Carbuncle Ifrit is just a Spirit and cannot stay in the mortal realm for long. But his brief appearance alone will be enough to make a significant impact on this battle. 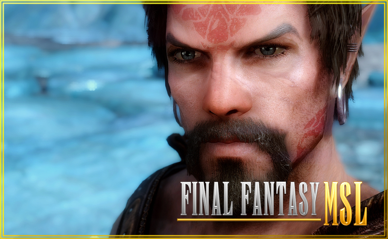 Unlike Carbuncle though, Ifrit no longer has his freewill. He is now a slave to his master, the one who bares the Fabula Nova Crystal upon which his spirit was sealed in. Ifrit stay levitated for a while as he casts his ultimate spell called Hellfire. Where he crashes down to the ground, creating a powerful impact and also engulfing everything into his hellish flames. 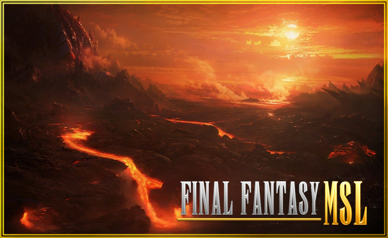 Using Hellfire, Ifrit manages to shatter both barriers from Demetria and Carbuncle. However, he ends up frying all of Gai's tiny flying critters as well. Ifrit also sets fire to Demetria's wooden body. The flames were so intense that if Eishi got near it, it would probably turn him to ash. Ifrit then comes after Eishi, charging at him with vicious rage. Carbuncle intercepts Ifrit, with a ray of his lucent beam, staggering the enraged Guardian for a moment. 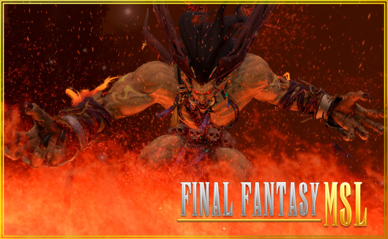 Ifrit counters with a flaming roar that throws Carbuncle off balance. 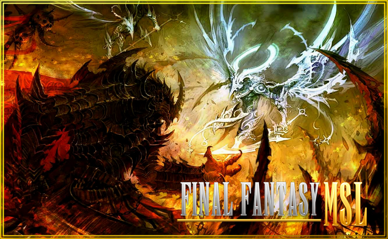 The weaker and less powerful Carbuncle, cannot hope to win against a Guardian Spirit such as Ifrit. Furthermore, Demetria remains a blaze. She doesn't even have enough power to defend herself, let alone fight off Ifrit. Despite her lack of power, Demetria exerts all her energy in one final act. With the last of her powers, Demetria collapses the ground beneath Eishi's feet. Sending the boy into a free fall to the abyss, and saving him from Gai and Ifrit. Carbuncle jumps into the hole and after Eishi to prevent him from falling to his death. Meanwhile, after spending all her powers, Demetria finally dies. Her spirit, along with her power, was trapped inside a Fabula Nova Crystal by the 7th Lion Gai. He plays with the Crystal and swivels it around his face and said, "One out of two. Not bad. Still I would've preferred to have snagged the little one as well." Back to Eishi, he continues to fall in what would seem like an endless pit. But in fact, he was very near the bottom. Carbuncle creates a rift at the bottom, linking Eishi back to Wrozan. Eishi comes out at the other end of the portal, still falling but this time over a forest. Carbuncle uses the last of his energy to make Eishi float gently down to the ground. Eishi has gained a Key Item. Deals 100,000 Damage to a Powerful Ancient Spirit (Purple Cards). If it deals a killing blow to a Powerful Ancient, it can act like a Fabula Nova Crystal. I froze up, literally. I couldn't do what was needed to be done. As a result, someone else took Demetria's power and I lost my chances of becoming a Guardian. It was entirely my fault for being too weak to make the hard decisions. I kept hearing Carbuncle calling out to me, he told me to stab the Guardian with the Crystal Blade, but I just couldn't bring myself to do it. I was thinking long and hard on what it is that makes a Guardian. But no matter how hard I tried, I just couldn't see myself as one of them. What did I have that no one else had? Why does it have to be me and not someone else? What if I'm not good enough? What if I fail? I had surrounded myself with negative thoughts and emotions, that it clouded my mind and caused me to forget one important thing. I failed to realize that Carbuncle and Demetria were both just like me before they received their powers. They were ordinary inhabitants of this world, who stood up against the evil that wanted to take their world away from them. The only difference between them and me, is that they are able to overcome their fears and I cannot. As the fighting went on, I just sat there, soaking myself in my own failures. I didn't realize that the Imperial Lion had summoned another Guardian Spirit named Ifrit. Seeing his flame, and how he burned all the dark spirits and the bat-like creatures, I was finally able to bring myself up to speed on what was currently happening. I felt like I had to fight back somehow, but how could I? Against such a powerful beast. But before I could do anything, Ifrit came at me. Luckily, Carbuncle was there and he saved me from Ifrit's attack. I took a moment to look at the Crystal Blade and I thought about using it against Ifrit, but suddenly, the ground I was standing on collapsed and I fell into a very deep hole. There was no way for me to gauge the depth of how deep I've fallen, because I was falling indefinitely. I was bound to hit the bottom at some point, but fortunately for me, Carbuncle saved my life again by teleporting me back to Wrozan. After being stuck inside a dark cave for so long, my eyes had difficulty adjusting to the sudden change in brightness. I found myself still falling though and there was no parachute to help slow down my descent. I really thought I was going to die, but Carbuncle save me again. It was at this time that I felt that I've disappointed Carbuncle by not completing the Trials. He believed in me and yet, I didn't deliver at the end. I noticed that Carbuncle's power is fading. Perhaps this is what he meant by not being able to stay out in this world for a very long time, especially after he's used a lot of his power trying to protect me. "I-I'm sorry... I couldn't do it." What else was I supposed to say? I already let Carbuncle down. Carbuncle took Eishi to the Warren, which is part of the Ironlands located at the west of Wrozan. The Warren is a vast rain forest, filled with numerous species of animals. Most of these animals are lethal, and one of the most feared creature living in this forest is the Marlboro. Fortunately for Eishi, Carbuncle took him to a remote location in the Warren that far away from any dangerous monster. Having used up most of his energy, Carbuncle vanishes even before Eishi could talk to him. He returns to the Life Stream to rest and regain his power. Meanwhile, a noticeable mark appears on the back of Eishi's right hand. It was a mark placed on him by Demetria before she was taken by Gai. "So you've finally earned you Mark. That's nice, I knew you had it in you." A man said, after Eishi noticed the mark. The man standing behind Eishi was someone he had met before in the past, but it might be hard for Eishi to recall where and when he met this man during his life. Mark of the Guardian has been unlocked for Eishi. I should have known Carbuncle was no longer here to answer my questions again. He reminded me of batman, who suddenly disappears whenever he's asked with an important follow-up question. But as I was pondering where Carbuncle went, I noticed that something was growing on the back of my hand. I looked closer and saw that a strange mark was appearing out of my hand. It felt like there was something moving underneath my skin. It didn't hurt, though. It was more ticklish if anything. Naturally, I wondered what in blazes is this thing and where did I get this? The mark looked magical in nature, I was afraid to touch it for fear that it might do something unexpected. I kept my hand outstretched because I was afraid something scary might come out of it. Back on Earth, I saw this movie where a scary looking alien bursts out of a man's body. I hope there's no alien inside my hand.. Suddenly, I heard a man's voice coming from behind me. I quickly turned around to see who it was. I took a good long look at him, wondering what this man knew about my mark and how long he has been standing there. He said he knew I had it in me? So he knows me? But I don't know him, or do I? "Excuse me sir, but do I know you?" I asked the man. The man gestures for Eishi to sit on the stone, as what he was about to tell him might be too much for the kid to take all in. As soon as Eishi sits down, the man says, "I-I'm a friend and I'm like you, I bear the mark. Come boy, there's much you need to know. Oh and my name is Kelser." He decides not to tell Eishi who he really is or what his real reasons are for watching over the kid for such a long time. Instead, he shows his Guardian's Mark, located on the back of his hand as well. The sign on his hand is synonymous to Carbuncle. "Carbi told me everyting. I'm sorry we didn't get Demetiria, but at least she gave you her mark. The Empire has been collecting Ancients and Guardians to power their cities and machinery. Soon, when they run out of power, they will turn their eyes again to Ariel, magic rich lands. But that's not the issue that we need to address immediately." "First things first. I need you to be brave. That mark means nothing if you're not able to overcome your own fears. You're a Guardian now, you need to be able to overcome everyone else's fears. Before it even crosses your mind, I'd like to rule out that I didn't choose you, Fate did and Fate is never wrong, usually... hahaha!" "I'm going to teach you on how to use your powers properly so you don't end up dead or worse. Does that sound good to you?" This guy, Kelser, he looks familiar but I can't quite place where I've seen him before. Still, he seems to be good person. Plus he's got the same mark as I have and he commands Carbuncle. I don't sense any evil from him, but then again I was never really good at judging people's characters. Still, right now he's the only person I that can tell me what this mark is for. I need to learn whatever I can from this man. I need to become brave like he said, so I won't be a failure anymore. I still blame myself for what happened earlier. If only I had the guts to stab Demetria's heart, then maybe Carbuncle wouldn't have gotten hurt. What's worse is that I just watched as it all happened. I have no other choice, other than to get stronger. If I keep being weak, I'll never be able to protect anyone. I decided to trust this man for now. After all, what choice do I have? "Please make me stronger! I know I should've done something! But I was too afraid to move! I don't want to be afraid anymore!"